Don't we all love to hear rich people splurging their money on pricey hot rodsand amazing classic cars? Some people love to collect sports memorabilia orjewelries but there is a handful of others whose love for sensational four or two-wheeled vehicles never left their imagination. From Asia, America, Europeand the rest of the world, the 10 biggest car collectors in the world willgive you a sneak peek on how the rich and famous splurge their hard-earnedmoney. Tying up at number 10, hip-hop sensation Wyclef Jean and Pink Floyddrummer Nick Mason do not just share fondness for great music but also forcars, lots of them. Both have more than 40 cars to their name with theirspecially done garages. Wyclef's collection of McLaren F1, Ferrari, ItalianPagani Zonda, Cadillac, and Humvee as well as a customized Hummercomplete with a fish tank can be seen in his Miami garage. Nick Mason, on the other hand, has a certain preference for Italian super sport carsdelving on models and makes that have a historical significance in the automotive world.Some of these noteworthy cars are; a Bugatti T35, an Aston Martin LM18, aFerrari 213 T3, McLaren F1, Porsche 962 and the infamous 23M-pound Ferrari250GTO. Fashion mogul and style exemplar, Ralph Lauren may be best known forhis "Polo" design but in the world of hot engines and metallic sensations, hisall-red car collections have always been a sight to behold each time they openfor exhibition. Speed, style and beauty are the highest forms ofvanity and this eccentric combination perfectly conceptualized Lauren's epiccollection of Ferrari's, Alfa Romeo roadster's, Bugatti, Mercedes, Bentley,Jaguar, McLaren F1 and many others comprising a total of more than 60 cars.This amazing collection is 98% red in color and are laid on an all-whiteplatform raised on a specially-done NYC garage carpeted in all-blackfashion. Apart from collecting hats, Jamiroquai's front man Jason Luiz Cheetham (famously known as Jay Kay) also has a not-so-secret attraction to cars. This Grammy-winning English-born singing sensation has amassed quite a collection of at least 68 cars (last counted) including a number of Porsche's, Ferrari's, Rolls Royce's, Lamborghini's, Mercedes, Bugatti's,Maserati, Chevy, Aston Martin, among others. He even owns one of CocoChanel's Mercedes 600. Moving up to Russia, the best way to find the best car collections in this area isthrough a museum built by the Lomakov family headed by Dmitry. The currentpresident of Retromoto, Dmitry Lomakov's fondness for antique cars andanything of historic excellence is quite unparalleled up to this day. 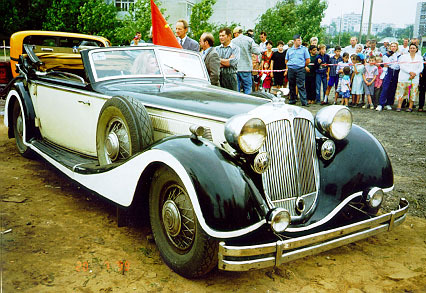 In a span of40 years, he was able to collect 120 antique cars and motorcycles particularlythe antique 1914 Peugeot motorcycle, the last of its kind as well as otherRussian-made vehicles no longer in existence like the 1977 Chayka GAZ-13.Recently he had also made waves in the media when he bought Adolf Hitler's infamous Mercedes Benz from a private auction used largely during Hitler's reign. The renowned chairman of the Lotus F1 Team, this Luxembourg-bornbusinessman co-owned Genii Capital and Mangrove Capital Planters, a top-rated venture capital business firm that specializes in technology like Skype.He is also the managing director of CS Fola Esch, which is a football club. A self-made entrepreneur, he is definitely more famous for his amazing car collectionrecently shown to Britain's Top Gear. Amassing quite a plethora of pixel-perfect vintage ponies and muscle hot rods to racing cars, he has a Porsche,Peugeot, Bugatti and other Euro-exotic sounding car maker's names on his list. The richest man in India does not just have a immense Mumbai mansion headoringly calls Antilla but also an astounding collection of European carsreaching to 168 or perhaps more. The 22nd richest man in the wholeworld also has an avid passion for cricket, the country's national sport, throughhis co-ownership of the Indian Premier League Team. Understandably, thisextends his love for fast and sporty, yet elegant, European cars like Bentley,Maybach, Bugatti and Mercedes as well as a few Porsche's. Rivaling Jay Leno's ethereal collection, the U.S. based owner of Lingenfelter Performance Engineering also created quite a collection with 20 Lamborghini Reventon's on the top of the list. He has more than 150 American muscle cars to his name and amazing collections of Corvettes, Mustangs, Bugatti, Porsche's and other sensational items he can get his hands on. No wonder, he needed a 40,000 square foot building in Michigan for a garage. Move over Oprah and Conan, tonight's show is all about Jay Leno. A famoustalk show celebrity, his car collection is quite astounding as is his TonightShow. His collections are usually made of cars that you would never expect ina million years to still be working up to this day. From 200 cars bearing perfectly maintained a 1909 Baker Electric, a 1931 8-liter Bentley, a 1909 Stanley Steamer, a 1934 Phantom II from Rolls Royce, a 1927 Duesenberg Model X and a 1925 Hispano-Suiza plus 22 steam-powered vehicles and 25 classic cars, it is no wonder where Mattel's Hot Wheels get their inspiration. A billionaire member of Abu Dhabi's ruling elite, the "Rainbow Sheik" is quiterenowned for his colorful collections of 7 Mercedes S-Classes, each one in adifferent color of the rainbow. Additionally, he also has customized Mercedesmonster trucks, a slew of Jeep's for the largest Bedouin Caravan, a Dodge PowerWagon, and whatever sensational cars he can find to match his equallysensational personality. What makes him unique is how he stashed his worthyfinds in a pyramid. With a staggering $20 billion net worth and the largest royal palace in the world withdiamond and gold gilded bathrooms, it is no wonder that he is able to amasssome 7000 cars consisting of 209 BMWs, 574 Benz, 452 Ferraris, 179Jaguars, 382 Bentleys, 134 Koenigseggs, a slew of Lamborghinis, AstonMartin, SSC, Cicero BDB Maestro, and so on. His limited edition and conceptcars made only for him like the Ferrari Mythos, Pininfarina-designed Jaguar,Bentley Java and 4x4 Dominator, a Koenigsegg Agera CC GT and a PorscheCarma are definitely a sight to behold. Definitely, this is one person who seescollecting top-rated cars as child's play.